6 years ago, we arrived in Bali with two suitcases and a big dream. Literally! We had one year to finalize a concept, find a location, build a restaurant, hire and train a team, open our doors and start serving customers. It was a daunting task. So, just like when you go to the grocery store you write a list to make sure you do not forget anything, we wrote a massive “to do” list: from designing an entire kitchen to the color of the napkins, everything was important and nothing could be forgotten. One of the items on the list was “What on earth are we going to name the restaurant?” and it never seemed to get done. A name is a restaurant’s identity and is hugely important. It must be memorable, meaningful and unique to stand out from the sea of food options. At the same time, if it is too weird no one will ever spell it or get it right. I remember back in the day, the best restaurant in Vancouver, my city, was called “West”. It was a French-inspired concept with amazingly creative and tasty food, but they decided to spell it like in France “Ouest”. The result was an empty dining room and a city left wondering where the hell the restaurant was. You couldn’t find it in the phonebook or online and even if you walked right in front, you would miss it because of the spelling. They eventually changed its name and I learned a very important lesson. With an opening date nearing closer and all the website, branding and marketing pending, we really needed to decide on a name. Then one day, Virginia received an email from her mother and I noticed the greeting “Hola Cuca…”. “What does Cuca mean?” I asked. She said it meant nothing, “It’s just the name my mom has called me since I was little and she only uses it when she is happy and I have been good”. “Voila!” I said to her, “that’s what we will call the restaurant: Cuca”. Something that means everything to us just as you mean everything to your mom. Spelt C-U-C-A and pronounced /Kooka/. Allergies? We've got you covered. In the olden days no one had allergies to food and if someone died of peanuts… well, then lesson learned, but today things are different. Celiac, lactose intolerant, vegetarian, pescatarian, diabetic, allergic to garlic… and the list goes on and on. The theory is simple: with highly processed foods, genetically modified meat, the use of antibiotics on animals and the lack of old school farming, our diet has dramatically changed. It is either a religious choice to avoid certain foods or the body’s way of rejecting them that has caused today a massive increase in food allergies. We clearly see this growing trend in Cuca and the question is now how to handle it. Allergies in restaurants often fall under the category of guests being hard to please and get dealt the card of a simple salad. The question is: should the poor customers, who in most cases are already ashamed to inform their waiter, be punished further for their real inability to eat something? Do these unfortunate people with food restrictions deserve something delicious or are they just considered lucky enough to get anything at all? The reality is that training an entire service and kitchen team to be knowledgeable about these dietary restrictions is a mammoth task. It is also true that preparing and organizing a kitchen so to eliminate any risk that a customer with an allergy consumes the very ingredients that will harm him/her, is an absolutely nightmare. But it is also true that we are in hospitality and that the effort made to make people happy is kind of what it’s all about. With this in mind, we have spent the last few months in Cuca not only re-organizing our preparation areas and developing delicious alternatives to all possible allergies, but going as far as to create entire Chef Tasting Menus that rival any other dish we have ever served. The reception could not have been better and our efforts are greatly paying back. There is nothing like serving an exceptional meal to those often punished with rabbit food. Every week has its challenges and running a restaurant comes with its own unique set. Bali teaches you to “roll with the punches” so to speak and both Kevin and I have learned a lot through the last 5 years about keeping a balance to avoid a nervous breakdown. Things move at an island beat and through experience we have learned that, sometimes, the more you push, the less you get so a good massage or a brilliant sunset reminds you that if it doesn’t all get done today, the world will still turn in the same direction tomorrow. With that in mind last week had us dealing with a new situation that left us once again bewildered. Apparently our beloved and majestic Mount Agung, which stands 3,014m tall and completely dominates the mountainous landscape of the island, is reminding us all that apart from beautiful it is also an actual volcano, now threatening to erupt. Obviously this latest challenge is a little out of the ordinary. Cuca is 70 km away from the volcano so we are very much safe and sound as an eruption would affect realistically just a 15km radius, but nevertheless it is difficult to ignore and simply carry on with business as usual. The most intriguing part of all that is happening is not following up closely the constant and dramatically inflated updates on the volcanic tremors or the travel warnings that have begun to cripple the island tourism leaving it without travellers. The most fascinating part for us is to witness how the Balinese are dealing with a situation so foreign to us. 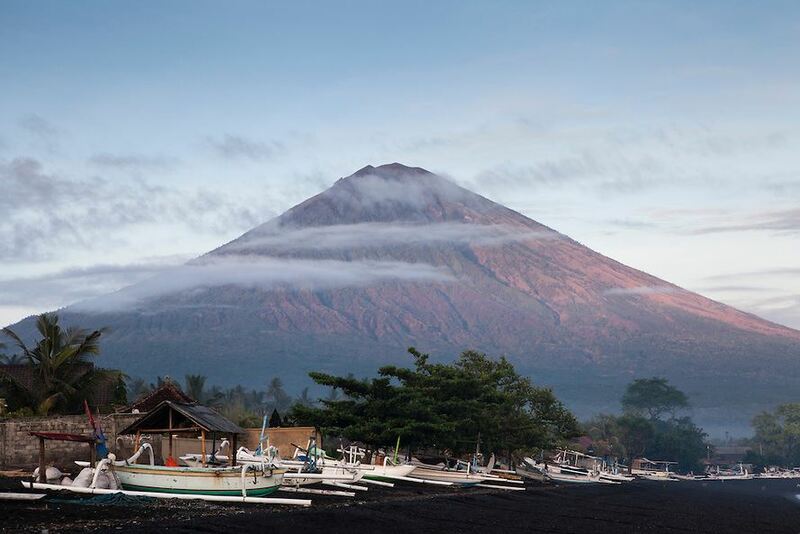 Mt Agung is so sacred to the locals that instead of them talking about north, south, east or west, the Balinese set their orientation depending on where you stand in relation to Mt Agung. The direction facing it is called “kaja” (if you live in the south, kaja is northeast) and this is the most sacred and pure point on the compass. Although the closest villages have been evacuated, many refuse to live their lives behind and still go back to attend their daily tasks; others have sold their livestock at half price. Here in the south Balinese are keeping a close eye on their holiest mountain, showing overwhelming support to those evacuated by bringing funds and provisions to their camps and embarking on a #prayforBali crusade in hopes to soothe the nervous fury of the volcano. And all this while being more grateful than ever to those of you who continue to come to Bali and bring a very much needed sense of normality to the island. We are in awe at the natural kindness of the Balinese and their deep tights with Mother Nature. We have a lot to learn. So we take it day by day and hope the mighty volcano goes back to sleep so we can too. We give up. After 4 years and each of their 1,460 days dodging inquiries about the recipe for our photogenic best-seller cocktail, here it is. You win. But please all we ask is you take your time to make it as delicious as it’s meant to be and choose well your company. Do not share Cuca’s Sun-gria with just anyone. A refreshing version of the classic, this cocktail develops as the tropical fruit ice cubes melt and flavor the drink. 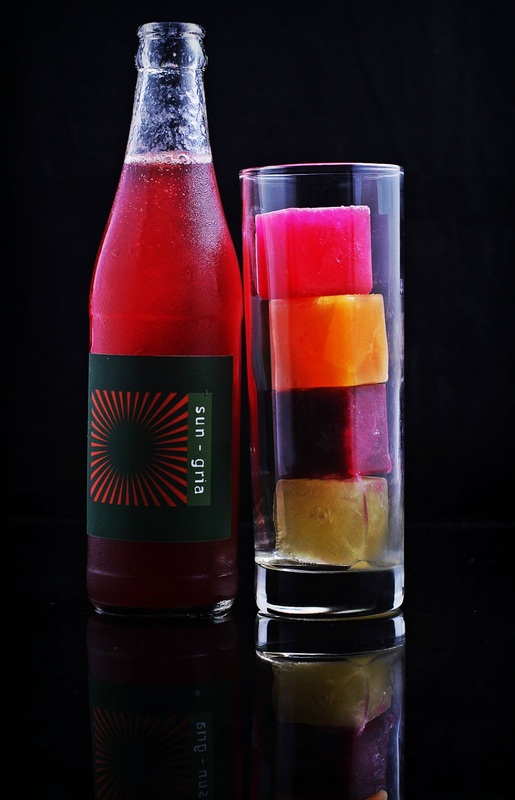 From a sparkling red wine to a fruity punch. Mix brandy with red wine and soda, honey and lemon juice. Stir gently not to remove bubbles from the soda. Juice fruits individually and strain the juice to remove pulp. Place the ice cubes in a glass and serve the red wine mix separately allowing your friends to pour it over the ice cubes. 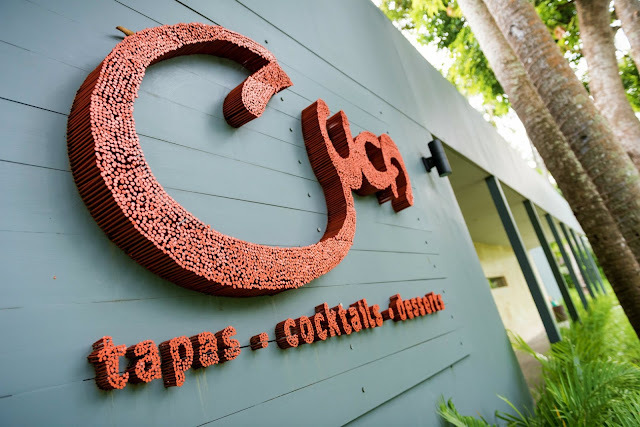 You may have heard the name before or you may have seen our snail sign in Cuca’s entrance but in case you don’t know much about this movement, this is what it stands for and how strongly we in Cuca live by its principles. I guess any Slow Food evangelist starts by unknowingly experiencing that food made with love tastes better, that a meal in the small restaurant of a remote village makes us happy, that taking some time off to have lunch with friends or family on a week day is priceless, that food delivered to our table with a smile and genuine pride is the utmost exciting sight. We do cherish dearly these precious moments of pleasure so we took some time to identify them and decided to make sure we in Cuca provide as many of them as possible. 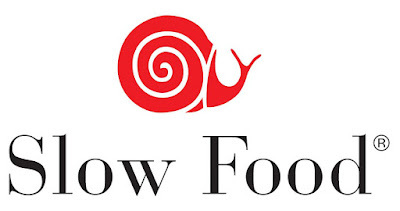 Slow Food was founded in 1989 in response to fast food and fast living, the loss of our local food traditions and a general diminishing interest in the food we eat, where it comes from, how it tastes and how our food choices can impact the world around us. Fighting this situation, Slow Food surfaced as a global, grassroots movement with thousands of members around the world that links the pleasure of food with a commitment to the community and the environment. It is a way of living, a way of eating and for us, also a way of running our business. How do we serve our dishes: with pride, confidence and excitement! So that’s how we do it. We take our sweet time to ensure everything we do translates into good, clean and fair (Slow Food’s principles), a pledge for a better future and a happier, tastier today. As a chef the further away you step from actually pulling a carrot from the ground, the more difficult it becomes to use that product with understanding. Being able to somehow connect to those ingredients just seems to make sense if it is your job to cook them. Most chefs today, however, have no connection with the actual origin of the ingredients for the food they cook: meat, poultry and fish come pre-portioned in plastic bags with no bones and no unsightly remnants of its living, breathing past; fruits and vegetables are picked inedible and ripened along the way losing out on those last weeks of sunshine, rain and fresh air that allow its natural flavor to develop; spices have lost their shape, now ground and packed in beautiful shiny tins and colorful labels with aromatic descriptions, and dairy surely misses its cow. Traveling throughout Indonesia, a country that is rich in both culture and natural resources, has given us the most intimate connection to every ingredient we use in Cuca and reminded us of so many amazing ones we have foolishly ignored. Products that are so packed with flavor and character that our job is less of being a surgeon trying to bring dying broccoli back to life and more like a tailor simply putting good quality together well. Drinking coffee in the mountains where people are handpicking ripe cherries and the smell of roasted beans perfumes the air, spotting cashew nuts cling from their maturing fruit that hangs high up in old trees, watching locals stripping bark from young shoots that when dried becomes cinnamon, video-recording golden rice stalks being smashed against wooden ramps to shed them of their grains of rice and attending a traditional ceremony where within an hour a massive buffalo walks in and soon becomes sticks of BBQ satay. This isn’t a summary of the last five years we spent in Indonesia, this happened last week. Welcome to Indonesia, where those products (except for the buffalo for now) have become part of Cuca’s recipes. From the moment I woke up to the moment I arrived at Michelin 2 star La Broche restaurant in Madrid, I felt sick. Putting on my uniform I often threw up and entering the kitchen I would be shaking with fear. A small team of 5 cooked for a full restaurant every day, lunch and dinner, and there wasn’t time to eat, drink water or pee. The day started at 8am and finished at 1am with 1 day off a week. It was hell. Just when you figured the menu, Sergi Arola would change it and just when you thought you were ahead, someone quit and his work became yours pushing you farther behind. You washed your own dishes, did your own ordering, prepared your own food, cooked it and plated it. You became a machine, a jack of all trades, a soldier fighting in a war that was surely not to be won. 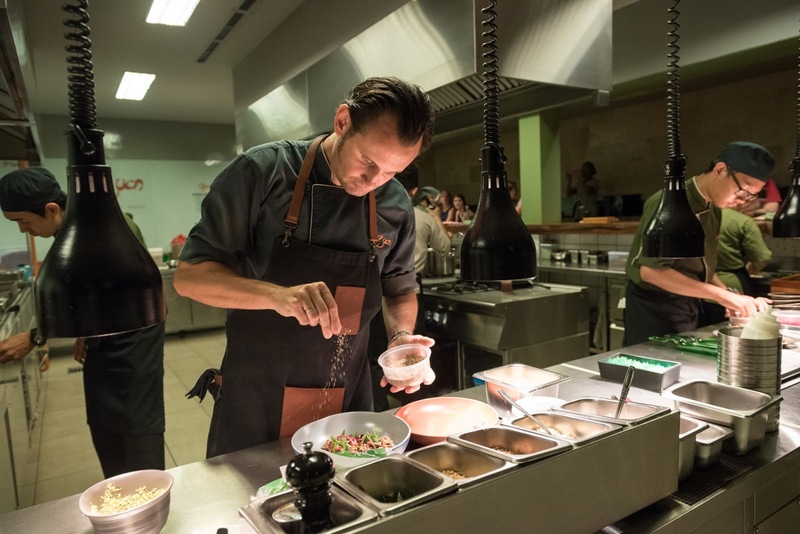 Despite the madness, the food was brilliant with technical dishes that required clinical precision and amazing products that reflected each season and formed staples of Sergi’s style of cooking. Working at the now closed La Broche sure as hell toughened me up and the few who stuck it out and survived left with a masters degree in efficiency and determination and the feeling of really accomplishing something. The worse it got, the more us, the surviving zombies, wanted to stick around to see what happened next. The intensity of service and the focus required to deliver great food regardless of what may be going wrong is a lesson I will never ever forget and try to teach to my key guys in Cuca. Just minus the fear of death, of course. The grandfather of Spanish cooking, Chef Juan Mari, absolutely adores food. When he eats his eyes light up and at 74 years old he still has the curiosity and amazement of a child when it comes to cooking. Every lunch time he becomes excited with the event of enjoying tasty, well cooked food. Arzak restaurant believes food must be first of all delicious. Sure they are inventive and playful with presentations, menu wording and ideas but my god do things taste good! You don’t leave Arzak hungry and you don’t leave without the feeling of warmth from an old school family-run restaurant. This one just happens to have 3 Michelin stars, but all the glamour that Michelin brings along has not diluted any of the friendliness and attention they pay to every single diner and every single staff member. If you are working in Arzak, you are part of their family and are treated and loved as if you were a blood relative. Juan Mari’s principle of loving the people he works with and taking care of them is something we believe in and have implemented since day one in Cuca. The result is not only an amazingly warm environment to spend the long hours this industry requires, but also our guests feel genuinely welcome and cared for, not visitors at a party they don’t belong.